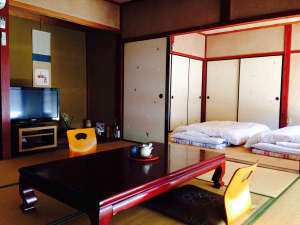 This traditional Japanese inn "Kigusuriya" has a welcoming, friendly atmosphere, large spacious private rooms and great local food. 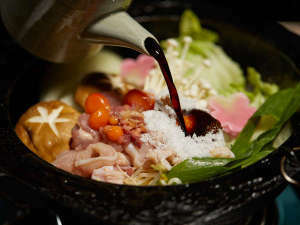 Kigusuriya is a family-run Japanese ryokan (a Japanese-style hotel) steeped in tradition and history. 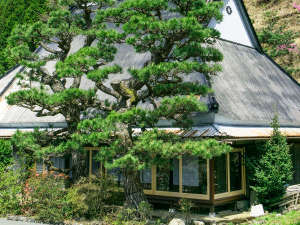 For 15 generations, the Koda family have been taking care of the land their ryokan is built on. 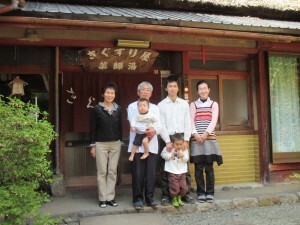 Since the 1800s they have been providing accommodation for guests; three generations of the family currently run the ryokan together, creating a warm and welcoming atmosphere. 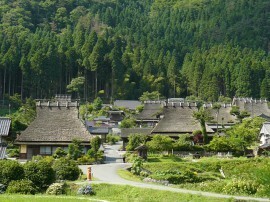 A stay at Kigusuriya, where the Koda family tends to many of the surrounding fields and mountain trails, offers a unique insight into Japanese rural life. The family will happily provide guided activities for visitors, drawing on their wealth of local knowledge and the vast experience handed down by their ancestors. Miyama's thatched village (Kayabuki no Sato). It only takes 20 minutes by car from Kigusuriya. Please notify us of any cancellation as soon as possible.